The strength of Seven in Perth and Adelaide continues to help its national figures. Last night Seven News pipped Nine News nationally, but only ranked first in those two cities. Today Tonight also won nationally, but lost to ACA in Sydney and Melbourne and won by just 1,000 in Brissy. Meanwhile Seven still has problems at 5:30 where Deal or no Deal continues to trail Hot Seat and TEN News. But a win is a win and Tuesday was Seven’s night. Seven network share was 32.9% then Nine 29.6%, TEN 15.8%, ABC 15.6% and SBS 6.1%. My Kitchen Rules was 1.54m for Seven then Packed to the Rafters (1.32m), Seven News (1.29m), Today Tonight (1.08m), Home and Away (938,000), Deal or No Deal (595,000) and Movie: Liar Liar (374,000). The Voice battle rounds reached 1.9m viewers for Nine then Nine News (1.18m), ACA (1.01m), The Following (720,000), Hot Seat (687,000). Two and a Half Men was 325,000, Anger Management was just 211,000 / 148,000. NCIS was best for TEN on 654,000 then TEN News (645,000), The Biggest Loser (531,000), The Project (503,000) and NCIS: Los Angeles (502,000). The Simpsons was 367,000. ABC News (887,000) topped ABC1 (717,000) followed by 7:30 (630,000), Foreign Correspondent (517,000), At the Movies (452,000), Grand Designs Abroad (441,000) and Artscape (226,000). Who Do You Think You Are? did well with 411,000 for SBS ONE and Dateline lifted to its second best performer at 237,000 then Insight (194,000) and World News Australia (171,000). Neighbours led multichannels with 306,000. @Rick2 – I think you’ve banged on about WIN under-resourcing news in Perth and Adelaide before. I’ll tell you again, the Nine news in Adelaide is rubbish, and I don’t think they’ve been in front of Seven for 10 years, which is before WIN bought the station. Remember that Adelaide has a local TT, which in a parochial conservative town like Adelaide probably wins a few ratings points. Also, The Voice our-rated MKR in Adelaide on the past two Monday nights (for example) so you’ll need to sharpen up that part of the argument too. Given that advertising costs more in Sydney, Melbourne and Brisbane I think 9 would happy winning all these markets. @Rick2 I can understand your point. 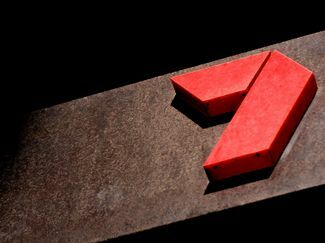 However The main reason I feel Seven News and Today Tonight are rating so well are because both states have a well established team of presenters (both have 2 main presenters) that have been doing it for many years. Also Today Tonight (while contains mainly eastern state stories) is produced and presented live from their state news centre. I believe this gives a strong indication that at Seven we are all about delivering a reliable and local news service. Really glad Liar Liar flopped. Nobody wants to watch a multi repeated movie with numerous ad breaks. Time for a new series for 9.30 and my suggestion is to stop showing double episodes of Grey’s anatomy on Monday’s and put one ep on Monday at 9.30 and another on Tuesday at 9.30. The 9 News weakness in Adelaide & Perth stems from WIN stripping out news resources over recent years, allowing 7 to dominate at 6pm with a flow on to TT. The gap from Ch7 to 9 news is often big in Adelaide but bordering on ridiculous in Perth – 226k v 80k last night. Then TT at least doubles ACA’s audience in both cities. Adel & Perth are also the only 2 cities where The Voice doesn’t beat MKR. Coincidence? Neighbours should remain the flagship show on ELEVEN. The Voice battle rounds is playing out the same way as last year with the younger/better looking singers getting through, although they probably were the worthy winners. Whatever show follows the voice needs to be far more closely aligned with the genre and audience of the Voice (HH is a great fit). That is an enormous dropoff in numbers from 1.9 to .72! Deal has been running for what, 7 years now? Time to rest it for a while – these shows often cycle back in a few years later (Wheel, Millionaire, Family Feud etc). The problem with Deal is that it’s always been a game of luck rather than a game of skill like most game shows. There’s been suggestions of an Australian version of The Cube which I think would be a great trial. Launch it at 5pm with a celebrity week, if it rates better than Deal then it should replace Deal. What does Channel 10 have to gain from poaching a few hundred thousand older viewers of 7 & 9 news? Ten wants a lead-in of younger viewers who don’t watch regular news for The Project. The Simpsons would be ideal if only people watched it! And look at Breakfast — when Ten tried to go head to head with 7 & 9’s established shows they only got 50ks viewers. @Daniel – Ten has already tried both a standalone 6pm bulletin and extending the 5pm bulletin back in 2011. Both were failures. IIRC the standalone bulletin was rating around 200,000 viewers. Time for Ten to bite the bullet and get rid of The Simpsons. Surely a 6pm news bulletin would rate better. Sure it would be repeating the same content from 5pm but at least it would bring in a broader audience and hence help out The Project. The Simpsons is just far too niche.